She Picks Up Her Puppy. The Noise He Makes? I’m In Tears From Laughing!! 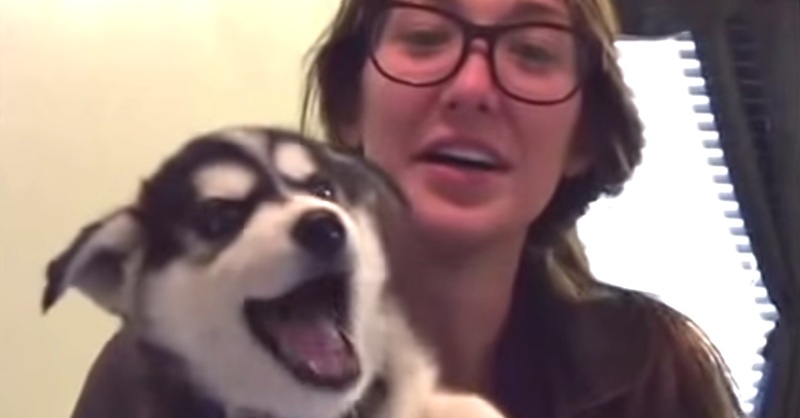 It’s usually babies who make those little sounds and noises every parent loves to hear, but this time it’s a cute husky puppy who’s talking up a storm! The second Mom picks up little Ramsey, he turns into a big ole chatterbox — and the baby noises coming out of his mouth leave her in a fit of hysterics. As you can see, Ramsey’s family (including their much bigger dog) is ecstatic over their new discovery — this fur baby is not only adorable, he’s also brilliant! It’s so cute, I can hardly stand it. I love it when I see people and their dogs enjoying each other so much! What do you think little Ramsey is trying to say? Let us know, and please SHARE this precious moment with your friends on Facebook!